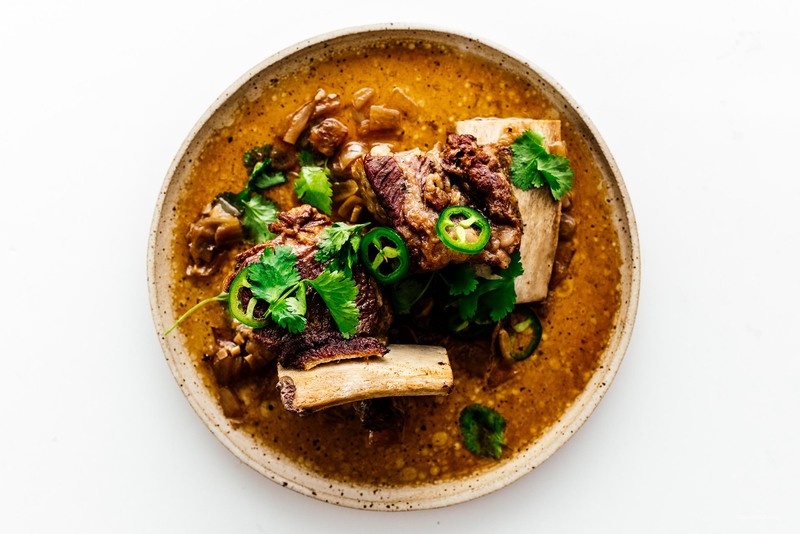 This weeknight Instant Pot recipe only needs 6 ingredients and 35 minutes for perfectly tender short ribs. 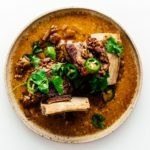 This is a super quick & easy take on Vietnamese style caramelized claypot beef with maple syrup subbing in for the traditional caramel sauce and an Instant Pot subbing in for the clay pot. It’s sweet, savory, and deliciously punch-you-in-the-face the way only southeast asian flavors can. 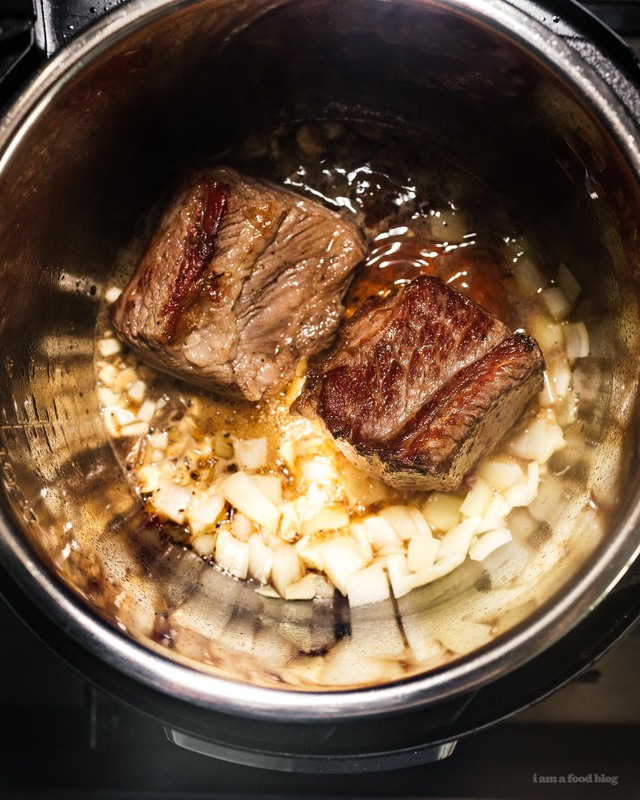 Although the recipe calls for 35 minutes, you can go up to an hour if you have the time for a more fall-apart texture to the meat. Caramelizing sugar the traditional way is a slow and watchful process that can easily go wrong. Here we bump it up flavor-wise while avoiding the whole need to caramelize in the first place with a little maple syrup. 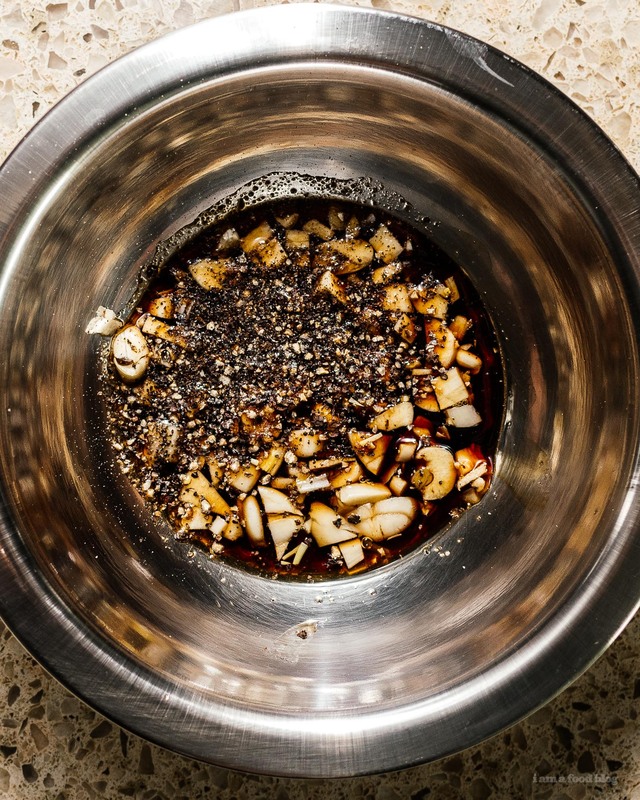 You’ll need an Instant Pot, a knife, and a pair of tongs. 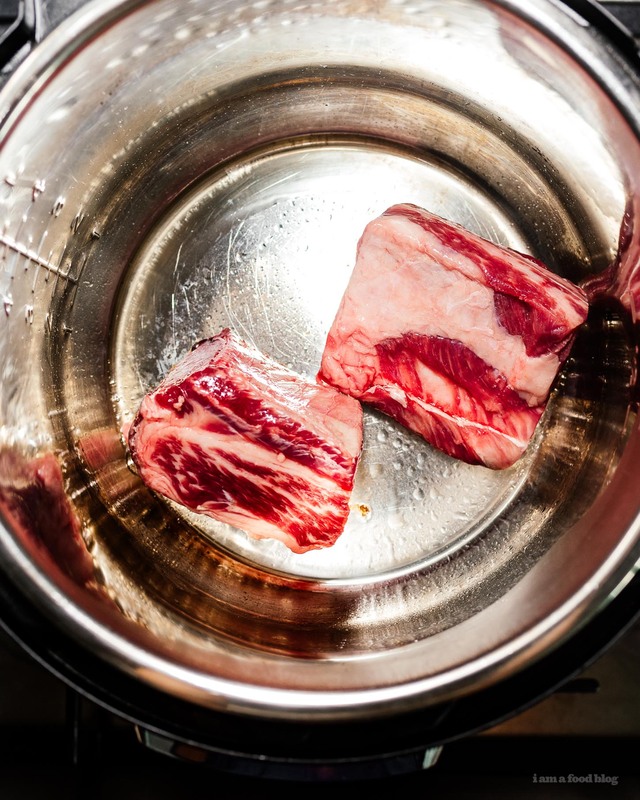 If you don’t have an Instant Pot, change up the cut of meat to something that cooks faster but is still tasty, such as ribeye or pork belly, and thinly slice or cube it up to cook faster. You can serve this as-is with a side salad. 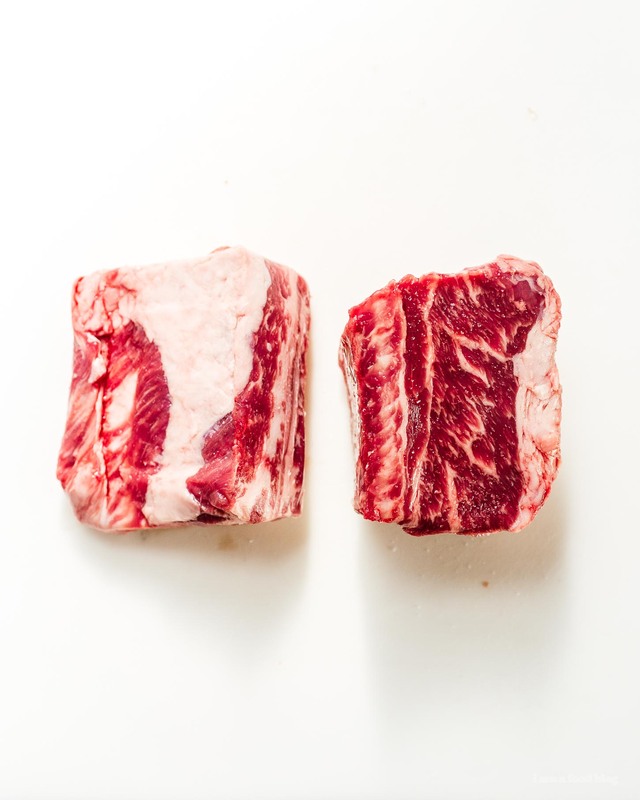 You can also shred the short ribs and toss 6oz of your favorite pasta shape or rice into the braising liquid for a nice pasta with short ribs or claypot rice. 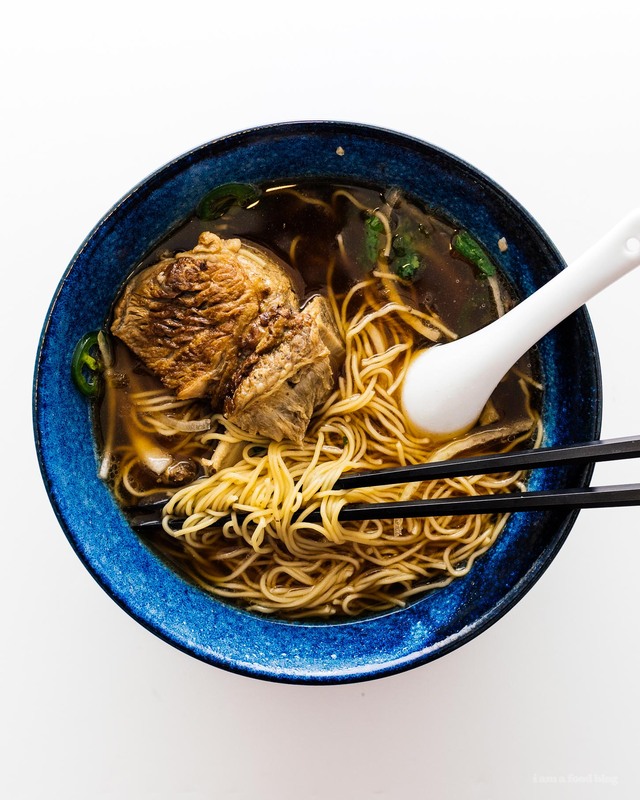 If you’re feeling like soup noodles, after it’s done combine 1qt of low sodium beef stock to the braising liquid to make an excellent broth for soup noodles, just add your favorite noodles (such as ramen or pho) and season to your liking. 5. 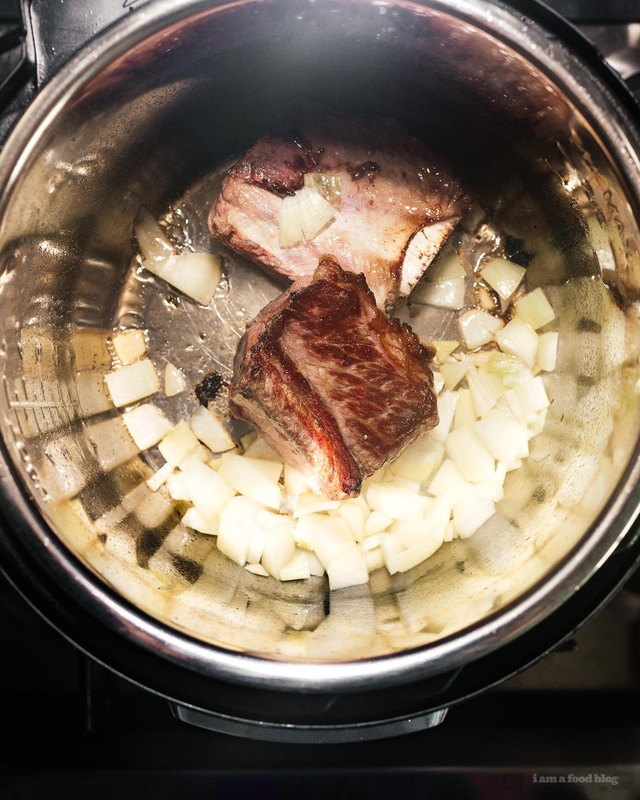 When the instant pot is at temp, brown the short ribs 3 minutes on each side. 9. Set to high pressure and 35min, and let it cook. 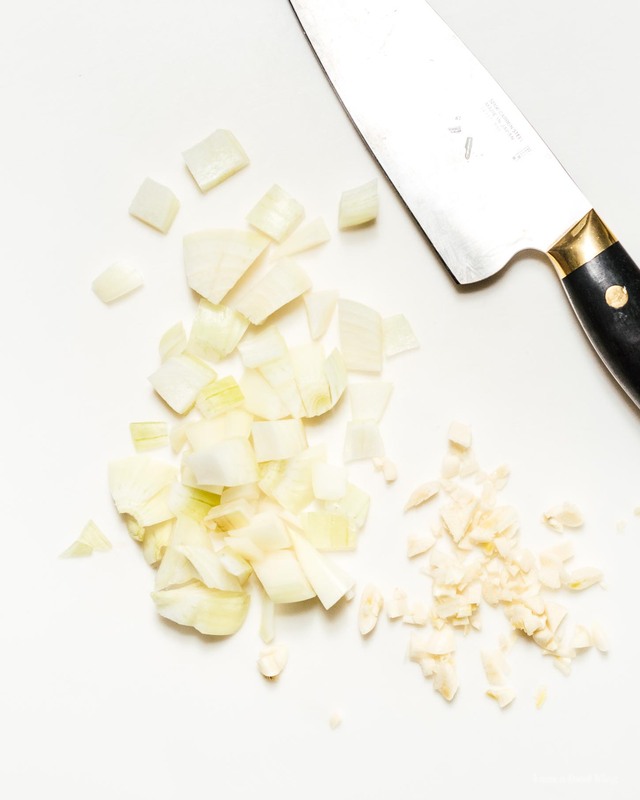 Prepare any side dishes or garnishes you’d like at this time. Welcome to Dinner & Chill, a new series focusing on quick & easy weeknight dinners with easy to find ingredients, low prep, and low effort. Like this series? Let us know in the comments!